Happy #NCFD to you and yours, friends. Today, September 18th, marks the fifth annual National Ceiling Fan Day. It’s true. In fact, we’re celebrating National Ceiling Fan Week Sept. 18-24 with a big Fan Sale: up to 15% off select fans over at Lumens.com. But that wasn’t why #NCFD was created. In fact, the annual tribute to our favorite air movers began in 2013 as a collective effort to power down cooling systems and rely on fans to save trillions of kilowatt hours of energy consumption. We’re into that. If it’s still a little roasty toasty in your part of the world, take at least today to put that energy-efficient air mover on your ceiling to work (or stock up on fans for the whole house!). In honor of this holiday, we rounded up 10 things to know about ceiling fans. It’s almost as good as Fanimation’s (the torch-carriers of #NCFD) celebration in 2014—I mean, they had cake. 1. Raising your thermostat +2 degrees and regular ceiling fan use can lower energy costs by about 15% (says the EPA). In warmer months like spring and summer, rotate the fan blades counter-clockwise to cool a room. In the fall/winter (cooler months), rotate the blades clockwise to push warm air down into the room. 3. UNLESS you have a very high ceiling (2 stories or taller), in which case, reverse those rules. 7. Hate the look of ceiling fans but love the functionality? There’s a fan for that. 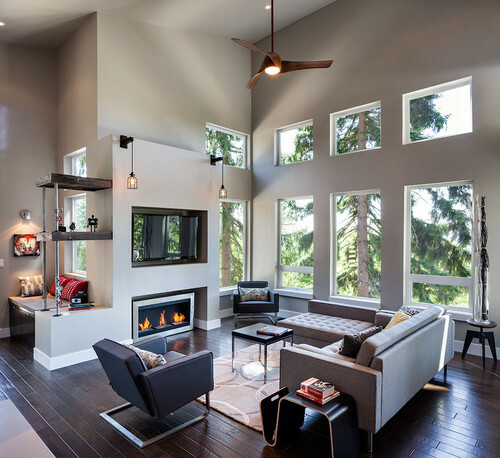 There are plenty of ultra-unique fan designs that make your ceiling fan a cool design element in a room. 9. Fans work outside! 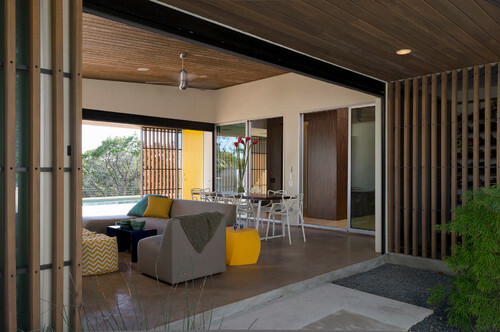 Putting a ceiling fan in your outdoor room has the same cooling effect as you’d find inside, so it’s ideal for moving still, stagnant air (summers at Lumens HQ know this all to well). Look for a damp-rated ceiling fan if you’ll be using it in a fully covered area like a covered porch or sun room. For an exposed area like a pergola or a deck, look for a wet-rated ceiling fan. Happy #NCFD, everyone! Be sure to shop our fan sale for up to 15% off thru September 21, 2015. This is an update from an original post published on September 18, 2014. That Torto Ceiling Fan look awesome. Wish my cat was that smart haha. Thanks for the information about the ceiling fans, i was looking lately to buy one for my family and it really helped me out the information above !